Mung beans appear in a wide variety of dishes from dessert-like pastes to soups and jellies. People also eat them raw in the form of sprouts. 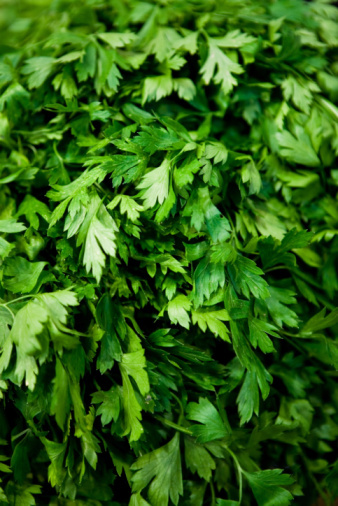 They are relatively low in calories and packed with nutrients like phosphorous, potassium, and protein. Mung beans have a taste akin to lentils, and are moderately easy to grow using inexpensive items like tulle netting and jars. They generally produce sprouts at the peak of their nutritional value in as little as three to five days. Packed with nutrients like potassium and protein, mung beans can sprout in three to five days. Remove the lids from the jars and set aside for later use. Cut the netting so that it covers the tops of the jars and extends 2 inches down the sides of the jar. Fill each jar 1/4 full with seeds. Fill the rest of the jar with water to soak and pre-germinate the seeds. Cover the jars with the pieces of netting. Secure the netting with the rubber bands. Allow the seeds to soak for eight to 12 hours or simply let them sit overnight. Drain the water and place the jars onto a spouting rack or in a shallow bowl, so that they sit at an angle. The rack or bowls must hold jars at a slant to allow for water to drain and provide the seeds with adequate oxygen. Rinse the seeds twice daily by filling the jars with water, stirring the seeds to ensure uniform moisture, then draining the water into a sink before returning the jars to the sprouting rack. Allow the jars to sit in the sun for four hours daily, moving them into a warm, dark place for the rest of the day. Check the seeds for sprouting. The sprouting seeds will possess a pungent odor. 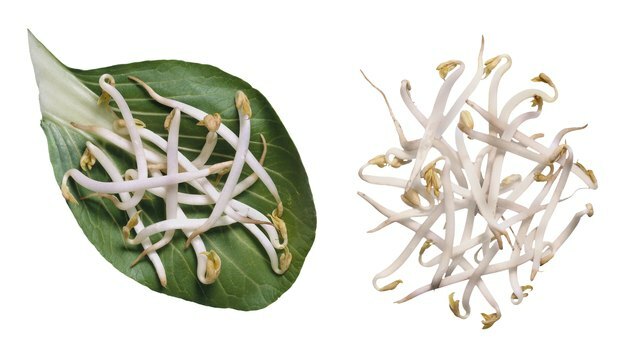 Mung bean sprouts are typically ready to harvest in three to five days and will grow to be about 1/2 inches in height. Depending on the quality of the seeds used, all of the seeds should produce sprouts. Remove the netting and return the lids to the jars or move the sprouts to a sealed container and place in the refrigerator. Mung beans and other sprouts will generally keep for about a week in the refrigerator and may even continue to sprout in the refrigerator during this time. Joshua Wade has been a freelance writer since 2006. Wade's poetry and short fiction have appeared in "The Frequent and Vigorous Quarterly" and "The Litter Box Magazine." He has also written for various online publications. Wade attended West Virginia University where he studied English and creative writing. Can I Sprout Poppy Seeds?